Written by: Giehae Choi on November 15, 2018. Did you find the past few years’ climate peculiar, with extremely high temperature or intense rainfall days occurring more often? Have you ever heard of shrinking ice sheets or seen this famous photo of polar bear clinging to an iceberg? What about the massive bleaching of coral reefs? Unfortunately, you’ve spotted evidence of climate change. 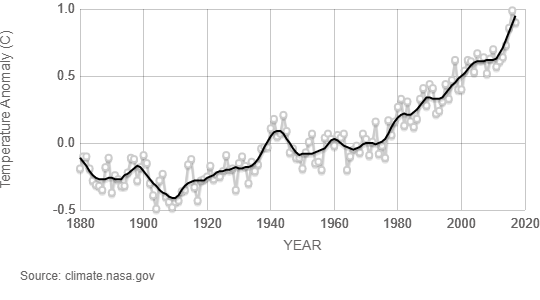 Human-induced global warming has resulted in a 1°C increase in global mean surface temperature in 2017 when compared to the period prior to the spur of large-scale industrial activities (1850-1900, here-on referred to as pre-industrial levels). Further, the temperature increase can reach 1.5°C (2.7°F) above pre-industrial levels as early as 2030 and as late as 2052, a recent report released by Intergovernmental Panel on Climate Change (IPCC) says. We are already noticing some inconveniences previously noted at the 1°C above pre-industrial levels, but the extra 0.5°C warming on top of that is projected to amplify risks for all inhabitants on Earth. The report by IPCC explains that many regions will be impacted with the global warming of 1.5°C above pre-industrial levels, with high temperature days, heavy precipitation, and intense droughts occurring more often. Such changes will impact our lives in the foreseeable future, not only by causing the disturbances we notice nowadays, but by increasing food insecurity, water stress, risk of vector-borne disease (e.g., malaria, flu), and heat-related deaths. Many ecosystems and the biodiversity within are at risk too; some species will face extinction and some will lose their habitats due sea-level rise, sea-ice loss in the Antarctic, coral bleaching, shifts in biomes. 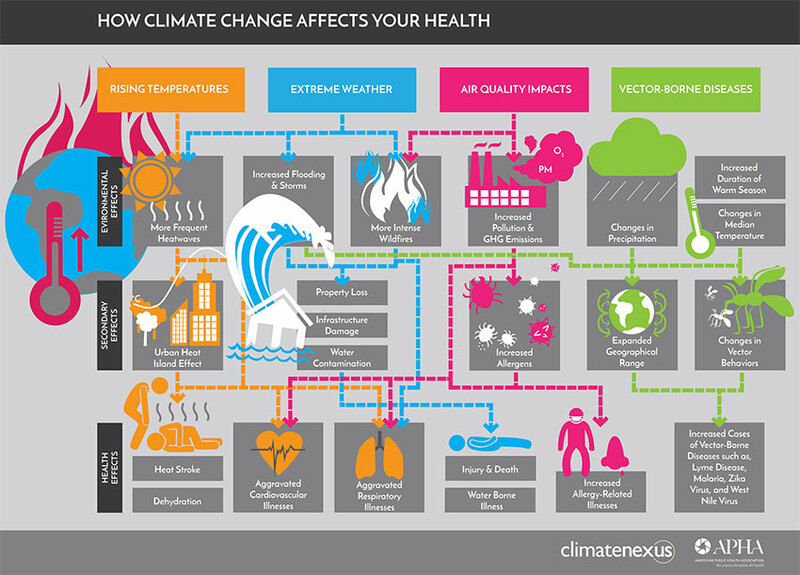 So what is being done in the global scale to address the issues that come with climate change? The first global effort to fight climate change, the Paris Agreement, was initiated in Paris 2015 by the IPCC. 195 participating countries have agreed to focus their efforts on limiting the global temperature rise to not more than 2°C above pre-industrial level. Long-term climate change adaptation goals were established through the Paris Agreement, which will be met by participating countries through nationally determined contributions. Each countries are requested to outline and communicate country-level efforts to reduce greenhouse gas emissions and adapt to climate change (nationally determined contributions). To facilitate reduction in greenhouse emissions through nationally determined contributions, Talanoa Dialogue was launched in January 2018 and the next meeting will take place in December 2018. More recently in October 2018, the special report by IPCC was released in South Korea, assessing the global warming of 1.5°C above pre-industrial levels. This special report by IPCC includes the impact of 1.5°C above pre-industrial levels and assessments on mitigation and adaptation strategies. To halt global warming, the amount of CO2 emitted into the atmosphere must equal the amount that is removed from the atmosphere (net zero). The report warns that such net zero CO2 emissions must be reached around 2050 to limit global warming to 1.5°C above pre-industrial levels. Good news is that we could slow the progression of climate change using currently available means, by changing our (individual and industrial) behaviors to reducing energy consumption and switch to more energy-efficient fuel options. Additionally, energy consumers can implement carbon capture options; energy providers must switch from coal-based to renewable energy sources, agricultural sector can shift to producing non-CO2 emitting crops and limit expansion into carbon rich ecosystems such as tropical forests. Luckily, some of these strategies are already underway in many countries, but the report warns us that more drastic measures need to be implemented in order to keep the temperature rise below 1.5°C. Given that the U.S, the world’s second largest greenhouse gas emitter, has announced to withdraw from the Paris Agreement, it is of particular importance to continue to increase awareness. 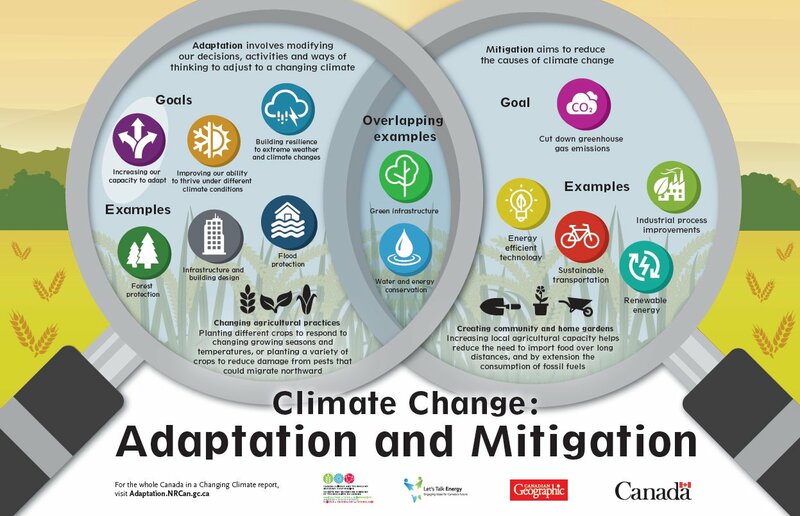 It is critical to actively tackle adaptation and mitigation strategies to response to climate change across the nation. Want to learn more and get involved? 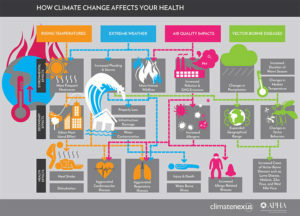 Visit the website for IPCC to read recent reports and activities to help reduce climate change. Follow their SNS to be up-to-date on global effort to fight climate change (facebook, twitter, instagram, or linkedin)! Peer edited by Eliza Thulson. This entry was posted in Blog and tagged adaptation, Climate Change, IPCC, mitigation, Paris Agreement by Giehae Choi. Bookmark the permalink. Giehae is a 3rd year doctoral student in the Department of Epidemiology at UNC. Her research revolves around understanding the impact of environmental exposures on the health of human populations.